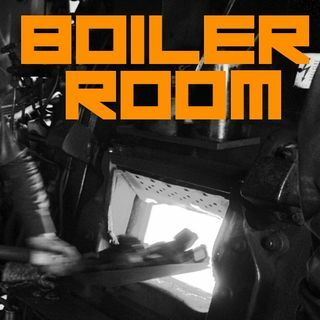 Tune in to the Alternate Current Radio Network (ACR) for another LIVE broadcast of ‘The Boiler Room’ starting at 6:00 PM PST | 8:00 PM CST | 9:00 PM EST for this special broadcast. Join us for uncensored, uninterruptible talk radio, custom-made for barfly philosophers, misguided moralists, masochists, street corner evangelists, media-maniacs, savants, political animals and otherwise lovable rascals. Join ACR hosts Hesher and Spore along with Andy Nowicki of Alt Right Blogspot, Stewart Howe, ... See More Randy J (both of 21st Century Wire), Daniel Spaulding of Soul of the East, Jay Dyer, author of Esoteric Hollywood, and other Boiler regulars if we can drag them out of their deep state research for the 87th episode of BOILER ROOM. Water the plants, put the kids to bed and get your favorite snuggy out so you can drop deep into the Boiler Room with the ACR brain-trust.